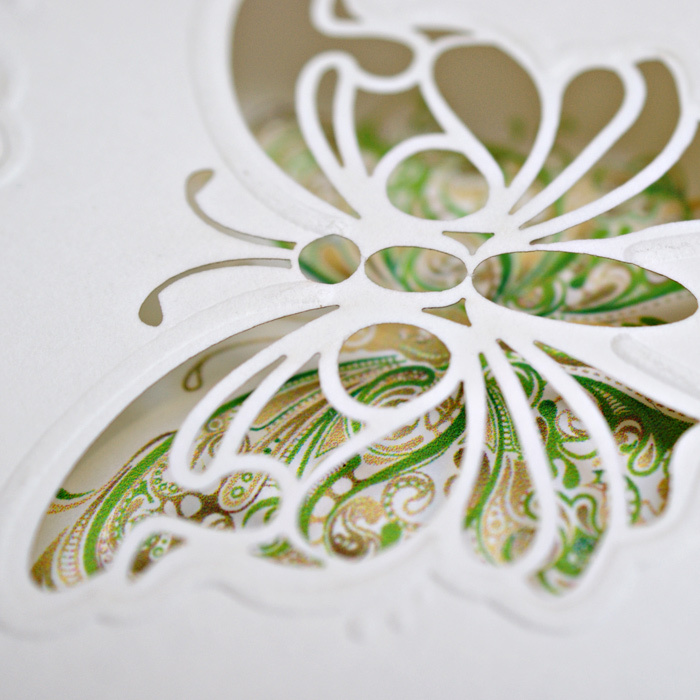 The cover is made from matte ecru-coloured paper. 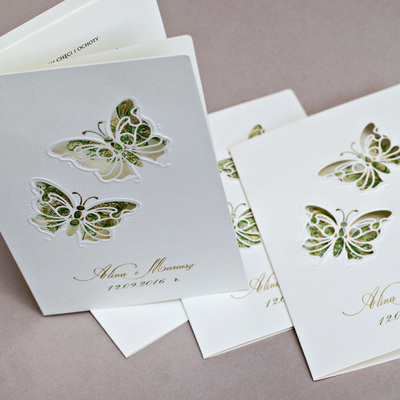 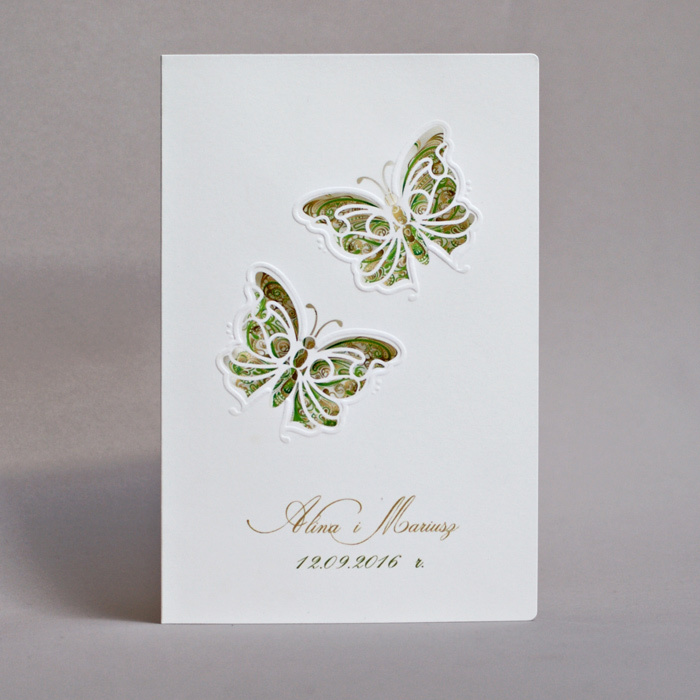 Two butterflies are cut out with decorative embossed motifs. The matte insert for printing text is ecru in colour. The names of the bride and groom can be printed on the invitation's cover. 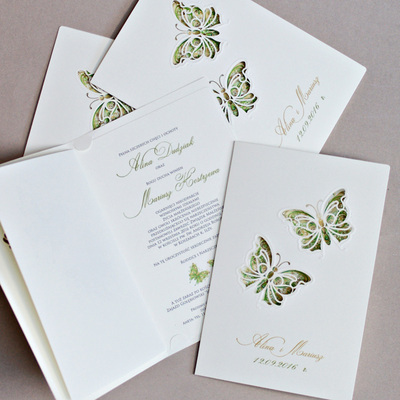 We send the invitations in a form that is ready to be handed to the guests. 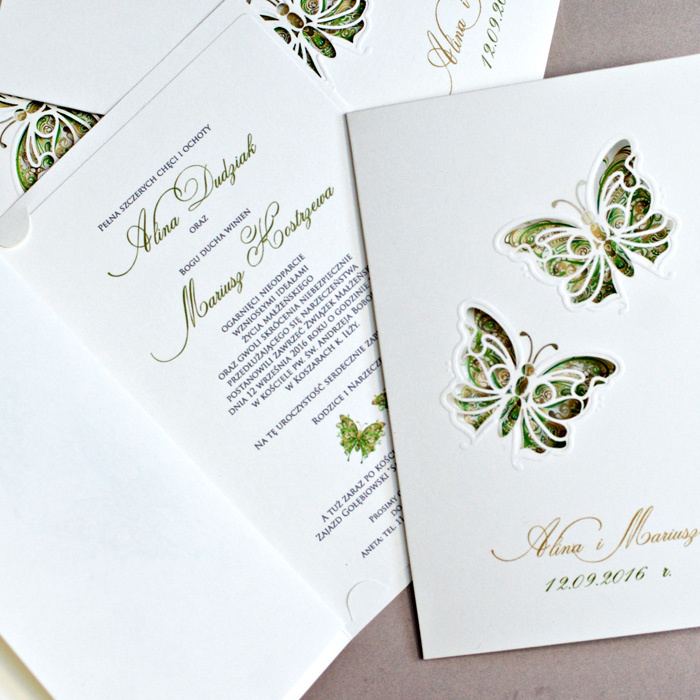 An invitation made with great care and attention to detail. A precise print, careful production, and high quality paper.